• The difference between Agape and Phileo Love: Agape is the highest and purest kind of love. Phileo refers to a brotherly love. • The church is meant to be like a family, based on relationships. • Being in a relationship with Jesus means being part of the church, part of His kingdom, part of the family of faith. • I hear the rain of the Spirit: The supernatural activity of God in our church and in our lives. • People who come in won’t be from other churches, but will be new believers. • Love Joy Church will be filling with people and the church will become full! • The people will become filled with the Holy Spirit! • God will raise up Spirit-filled leaders that will help with the increase in the people that will be coming! • I am raising up the leaders of this church and yes even new leaders that will prophesy over dry bones. • Just as the dry bones came together I will surely bring this body together says the LORD. • Dryness and death will be defeated and I will take any futility and turn it into fertility. • I believe every one of us needs to realize that God’s dreams for us are a greater reality than our present limited circumstances. 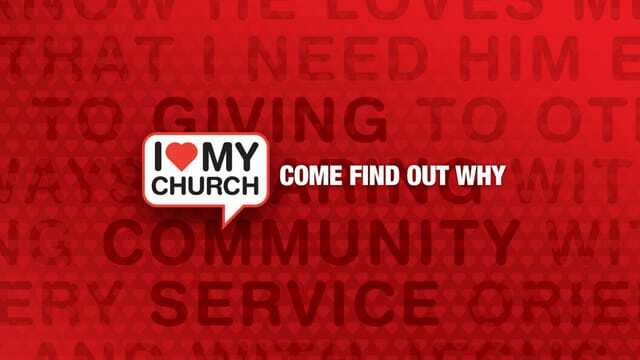 • Let people know that you love your church. • Get connected in a connect group. This will be an all church program combining Sunday morning sermons with connect group teachings, videos, discussions and prayer. Through the five-weeks, we will learn WHY God designed the Church and how we can grow spiritually and improve our quality of life while serving God and our church. Worshippers, Intercessors, dancers, artists, prophetic writers. All are welcome to come and soak in his presence as we worship and pray. M2M Men's Breakfast meets once a month at 9am in the Love Joy Cafe. Come on Saturday January 21 to enjoy breakfast, music and a great message. Offering taken. RSVP in the lobby and see Tony Baldi or Rob Schott for more information. We hope to see you there!